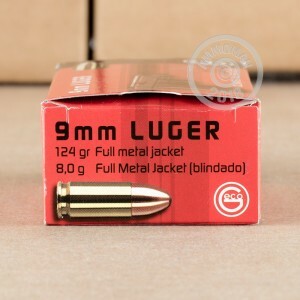 This 1,000 round case of 9mm Luger ammunition is an excellent range load that has similar external ballistics to many popular self-defense brands. 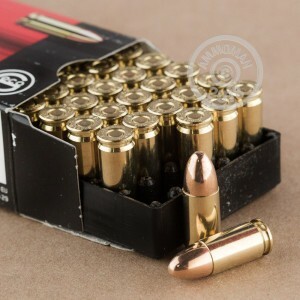 Each cartridge in this case fires a medium weight 124 grain full metal jacket bullet at a muzzle velocity of 1,180 feet per second. GECO ammunition is loaded in Europe by RUAG, a multinational defense contractor that supplies many Western European gun owners, law enforcement, and militaries with munitions. 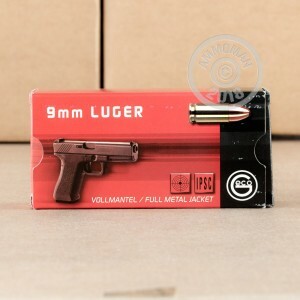 Grab this case (or any items priced over $99) to get free shipping from AmmoMan.com. It's a great way to save without doing any extra work--there's no codes to redeem or calculators to finangle.